We had groups and team projects in the past from small friends groups up to international business meetings and teambuildings. Sunset Villas and Spa is a beautiful and charming place a little bit outside of Ubud, perfect for groups up to 16 people. 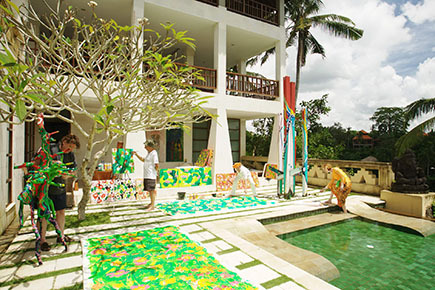 It´s now called Bali Bliss and has an additional yoga space. The workshop EAT PAINT FLOW was a one time experimental program in 2011. As a warm up, the group literally gripped into the paints and later we did two large community canvases together. In 2012, as extension to the yearly management meeting, we did a team building event at the Green School with 50 managers from the international company Reckitt Benckiser. 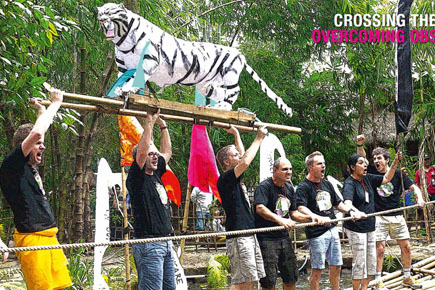 They built tiger sculptures and bridges among the famous bamboo architecture of the Green School. 5 artist,s 4 days and a video team. Everything was open when we did this team project in 2009. SUNGAI is Indonesian for “River”. 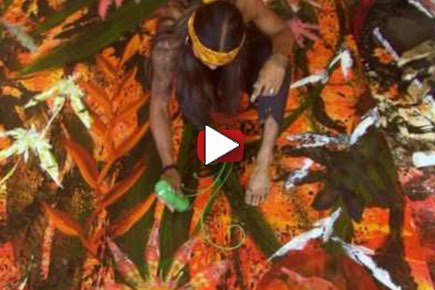 Watch the process of 5 individuals coming together in a stunning creative flow. 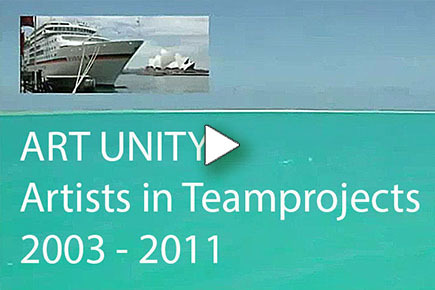 A 4-minute slideshow animation gives an overview of international team projects. May 10th is the International Day of Stroke Awareness. 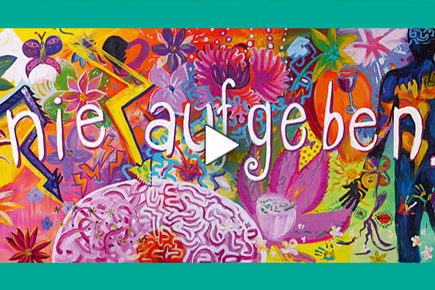 In 2012, a group of artists arranged a painting event with stroke victims at Kliniken Schmieder in Heidelberg, Germany.